After a snowy Saturday at home, I was cleaning up after dinner. I washed every dish, pot and pan from a full day of snow-inspired cooking. I placed the last bowl on top of the drying rack and turned around to dry my hands when the glass bowl slipped. It knocked into the open bottle of wine standing beside the drying rack sending the open wine bottle flying off the counter, falling in slow motion, bouncing off my foot and splashed all over the floor, dishwasher and surrounding cabinets. “SSSHHH*TT!! !” slipped out of my mouth in easy hearing range of my husband and all three of my children eating their dessert at the table. A hush fell over the house as I waited to see if anyone realized what just happened. After a few beats of silence, I took a breath and said, “Wine…all over the place,” by way of explanation to my husband. He came in to survey the damage and see if I needed help. Then he went back into the dining room to join the kids. I thought I got off lucky. I thought no one heard my slip and my kids still had virgin ears. Then I heard my oldest say something about, “that word Mommy just said,” and I knew I was caught. “Oh no, he heard me?” I asked. “Yeah, you should have seen his face,” said my husband, imitating our second-grade son’s wide-eyed open-mouthed grin. So we all went back into the dining room to make sure he knew it was not an okay word. Suppressing chuckles, my husband and I told him he shouldn’t like hearing that word. “Did you like it because you got to see that Mommy isn’t perfect and I sometimes make mistakes, too?” I asked. Great. Role model of the year over here! “What bad word was it?” asked his little brother. “Yeah, what word?” parroted his three-year-old sister. “Nevermind! !” we both told them. “What? I want to know! What was the bad word?” pressed my six-year-old. “Bad word, bad word, we want to know the bad word,” sang my daughter. “Okay, PICKLE! Pickle was the bad word,” said my husband, trying to throw them off. “PICKLE?” our daughter asked. “Pickle’s not a bad word! !” she giggled. “See? That’s why we won’t tell you. You’ll just repeat it,” Daddy explained. “Oh, PICKLES!” laughed the Kindergartener. “Pickle, pickle…pickle, pickle, pickle…” sang out our youngest. “OKAY. For the rest of tonight, ‘Pickle’ is a bad word. No one else is allowed to say, ‘Pickle,‘” said my husband. 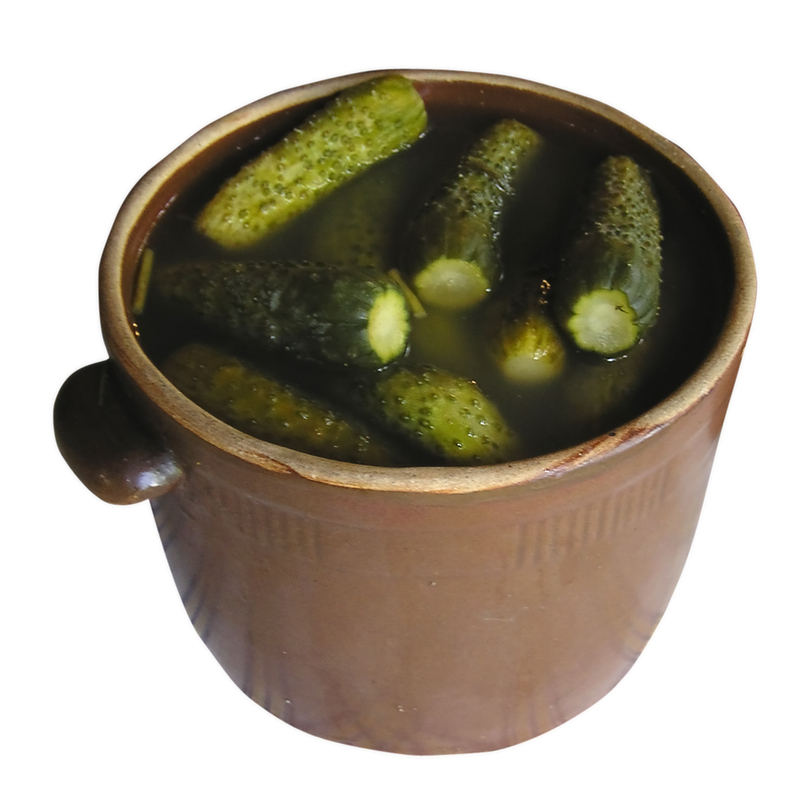 A complete chorus of “PICKLE” sung in a round by three giggling children then erupted at the dinner table. My husband and I got up from the table shaking our heads and went into the kitchen. This is a classic story for all time! LOVE it! I am pretty sure I did it once in front of Abby when she too little to realize (she immediately repeated the word, of course) but thankfully it was a one time happening. I have no doubt my day is coming. It is just a matter of time! I’ve slipped more than once, Stacey. Of course, it wasn’t until months later when Patrick repeated it, perfectly, in context, that I realized he was actually listening! Great story! So so funny! I really enjoyed reading this! My 2 year old repeated a bad word that I said recently, so this just really struck a chord with me. Thanks for the laughs!